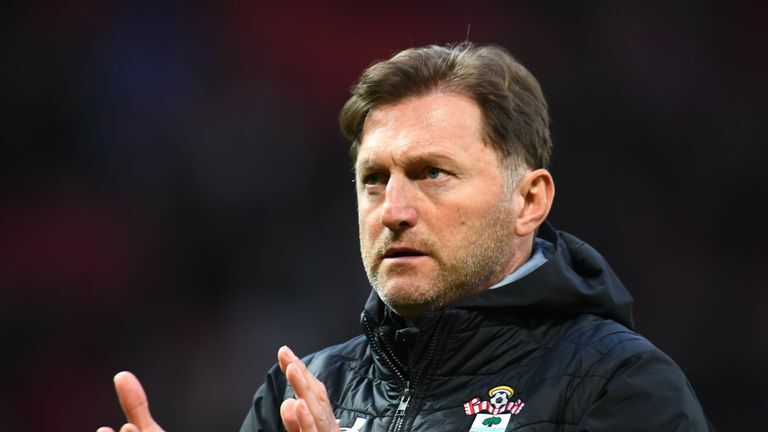 Soccer Saturday pundit Matt Le Tissier sat down with Southampton manager Ralph Hasenhuttl to talk changes in the squad, youth players and a relegation survival party. 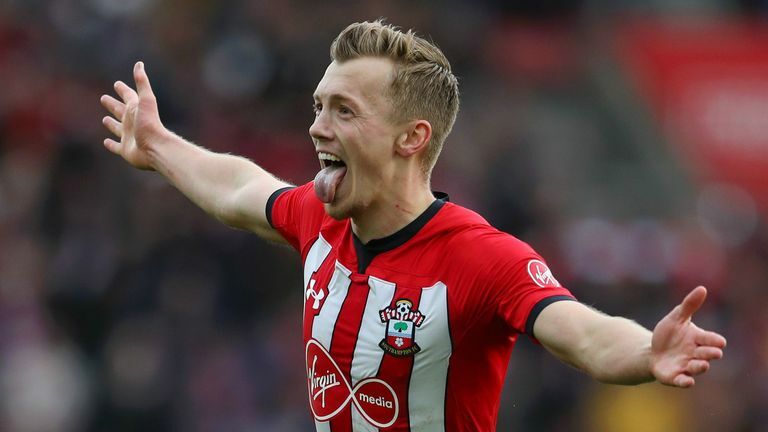 Southampton are currently two points clear of the relegation places in 16th and take on Brighton - who are one place and three points ahead of them - when the Premier League returns on Saturday. MLT: What did the Southampton board say to you that convinced you that this was your next job? RH: There were a lot of things that were interesting for me because I was working at a club (RB Leipzig) with a lot of young players and we tried to develop them. We had similar philosophy with a good academy and trying to build something up. I was looking for a club where I felt comfortable from the first moment and that I can build something up. It was maybe the reason why I decided not to go to a Champions League club but one that is struggling at the moment but has a good vision and a clear plan for the future. MLT: Do you have to adapt your style to suit the players you have available to you? RH: Maybe not really to adapt, but maybe it's not for every player in terms of what I want to see and how I want to play. That means that some players suddenly get a big chance when before, they were not even in the squad, because they fit more to my style of football. At all the clubs I have managed at so far, I have played a different style of football. Only at the last two have I bought in the exact philosophy that I want to play with because now I have the technical quality and also the tactical quality. Our players are very open minded and the speed at which they learned was amazing for me. I think it is key to the points we have taken so far. MLT: What have you changed to improve results? RH: I was speaking about this with Gareth Southgate because he wanted to know what I did in the first three or four weeks and I told him that the most important part for me was working with videos of the players. He said it is the same as how he works because he doesn't have the players for a long time to train with so the only time you have to put your philosophy and game plan in their minds is to work with the videos. It was something my video analysts were enjoying, even if they were working 24/7, because it is what they are here for. Everybody likes to work hard with the players, so do I. We also made a lot of individual video sessions, which I think helps the player understand what my philosophy is and how I want to play. MLT: Does the form of Yan Valery and Jan Bednarek justify Cedric Soares and Wesley Hoedt going out on loan in January? RH: Maybe, I don't know. If you want to push a young player, it is easier if you have a chance to bring him in more often. I think Yan showed in the time that Cedric was here that he has more potential for the future and he can be our future. If I have a 50/50 situation and I let the younger player do the game because it is for the future and something to develop the club. To bring young players in gives a signal for the academy that we are looking at them. It is not easy for the young players to come up and train with the professionals and then play again with their youth teams but they have to do this. They have to know that it is not enough to train with us or to make one, it is about keeping focused and keeping up the hard work. I think Yan Valery is the best example because he was also at one time, I think against Burnley, he wasn't playing in the first XI but he was still working on and suddenly, he was scoring and put in his best performance. MLT: You have given five young players their Premier League debuts since coming in - is that your choice or the club or is it a joint decision? RH: At my last club (RB Leipzig), we played with a lot of young players and everybody thinks that in drastic moments, experienced players can help you more than the young players, but we made it a different experience at Leipzig. "If it is about going into a big game, it is more about what the experienced players can lose - the young players are only thinking about what they can win. That can sometimes be an advantage for you." We know that in some moments, the young players don't have to anything to lose and no nerves. They perhaps have less to lose than the experienced one because they could have a big value. If it is about going into a big game, it is more about what they can lose - the young players are only thinking about what they can win. That can sometimes be an advantage for you. MLT: How much pleasure does it give you to see the improvement in players, especially the likes of Nathan Redmond and James Ward-Prowse? RH: You can see that we demand a lot from these guys. When I came in, I think Redmond was one of the players I was criticising most of all, I think, in front of the squad and also one-on-one. I think it helps him and I am still doing this because I want to make him a better player and use all the potential he has. That means also being honest with him, criticising him if it is that, but also praise him if he does a good thing. You can see a change in his mind or his habits or his working on the pitch and it was the same with Ward-Prowse. When I first came in, he wasn't in the squad and it wasn't an easy situation for him but the reaction I have seen was a big one. He showed up in the training sessions, he showed that I can count on him and I can trust him. He is not only playing with the ball but without it and showing that you can win balls back and I think that's the biggest change in his game so far. And also his free-kicks, they're very special. MLT: We have seen that you're quite an expressive manager on the touchline, do you have to work hard to keep emotions in check? RH: Absolutely, the zone we have to stand in is quite small and I can go out of it sometimes, but I think I am quieter than I was in Germany because the distance I was running was a longer one. The moment when we score is the most emotional one, not only for the supporters but also for me as a manager, and I have to celebrate it. It's the biggest moment in the game and that's why we all go to the stadium and do this job because there is nothing better than scoring a goal and celebrating. MLT: Before you arrived, Southampton didn't have a very good record against the 'big six', but we have beaten Arsenal and Tottenham. What were the key things you implemented to change the mindset of the players against these bigger teams? RH: I think the Arsenal game was the most important one because it was the first win for me with this team and then maybe the belief of the stuff we were working on, it helps us to also win against the big teams. You have to be honest, if you want to win against a big team, you have to have a perfect day, otherwise there is no chance because they have so much quality. But if you believe you can do this, it helps a lot. If you wake up on a Saturday morning and you know you have a game against a big team, and you know that your match game plan is something that helps you and gives you a chance, it helps a lot. "If you wake up on a Saturday morning and you know you have a game against a big team, and you know that your match game plan is something that helps you and gives you a chance, it helps a lot." If you keep believing, like if you are 1-0 down against Tottenham, it is the key part to coming back and to win such a game if you are down. This team, as we saw three weeks ago, you could feel the belief in what they're doing. The second half was a completely different one with a few changes, we could press them a little bit earlier and then you get the feeling suddenly that you have the chance to take points and you always feel like the team is believing in it. MLT: What are your hopes for the cup competitions next season? I think Southampton fans would like to see another FA Cup win! RH: I think we took it very seriously in both games [in the FA Cup this season] and we wanted to win. We got into a good position and then gave it away. It is not only because of the schedule, when you see the FA Cup in England it is a big competition because you get the same weekend of game day as you get in a Premier League game so that's the reason why I think you have to take it seriously. I can guarantee it's not about being near the bottom of the table or something like that for not using your best team. For us, it was that we had a few injuries or something and we tried everything we could to get to the next round. We take it very seriously because I know how big it is in England. I can guarantee you that next season, from the beginning - the League Cup is also something we are focusing on - I hope that we can be part of this big club history in the semi-finals or finals. Although I have to tell you, my cup performance so far is not the best. The three-week break between games is horrible, it's terrible. It is not easy to keep the performance levels high because it is not easy for the players to train during the week and have no game at the weekend. Next year, I think the FA Cup must be a big one for us. MLT: What are your thoughts on Saturday's game against Brighton? What is going to be the key in the final eight games of the season? RH: After this break of three weeks, we have to find a good step back in the league and it is an important game against a tight opponent. I think they have three points more than we have and they were struggling for a long time, but in the last few weeks, they were rediscovering their good performance and the big win against Crystal Palace has helped them a lot. It will be a tough game for us and I know we had a few good results in away games against good teams, we also played well but didn't take points so it can be interesting to not play that well but taking more points so for us, it is the focus on having a good performance and a good, stable defence. I also know that we can always score in away games and be the best opponent we can be which means being tactically and physically in the best shape. MLT: In your first home game at St Mary's, you paid for every Southampton fan to receive a token for a free beer. Will the beer get upgraded to champagne if we survive relegation? I think there will be a big party if we do this. It was a good first step to find together and I guarantee you that if we make it to stay in the league, it will be a big party.